Possible. is a new podcast to help you live a more optimistic life. When I started working on Writally, I realised how many people dismiss their ideas and turn off to possibility before they’ve even considered it. I also realised that possibility has been an overarching theme throughout my life. I have always been a glass-half-full kinda gal and that optimism has pulled me through the hardest moments of my life. Being open to possibility creates a pathway to making your dreams happen, to change the things you don’t like about your life and to have hope for the future. 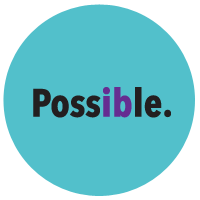 The first season of Possible. is launching at the end of 2016. To stay in the loop, follow me on Facebook or Twitter.